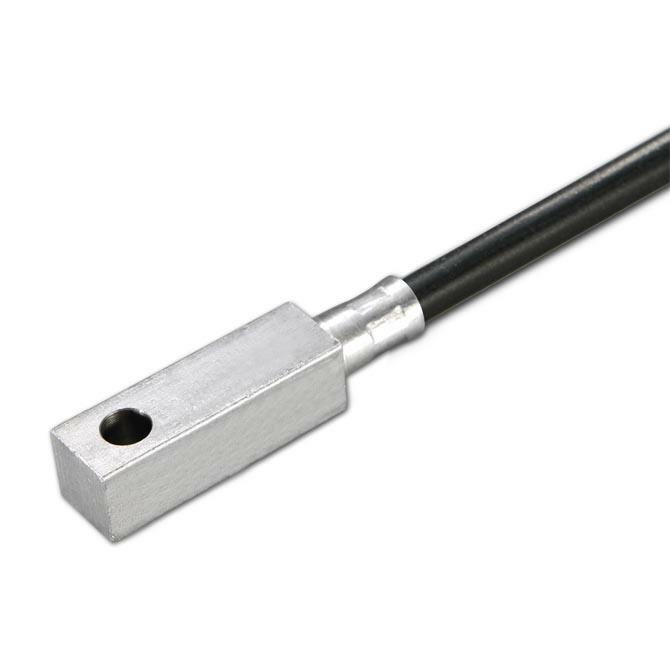 Surface Temperature Sensor ANDOBTF passive sensor is designed for measuring the temperature on plain surfaces such as windows. The feeler is made of aluminum and can be mounted to the respective surface with the borehole (4,1 mm) located on the upper half of the sensor. With the help of the respective sensors (see below), the device can be connected to all conventional control and display systems. 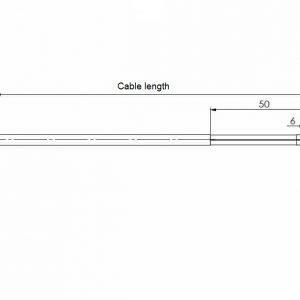 Further cable types and lengths (including multiple wire connections and combination sensors) available on demand. 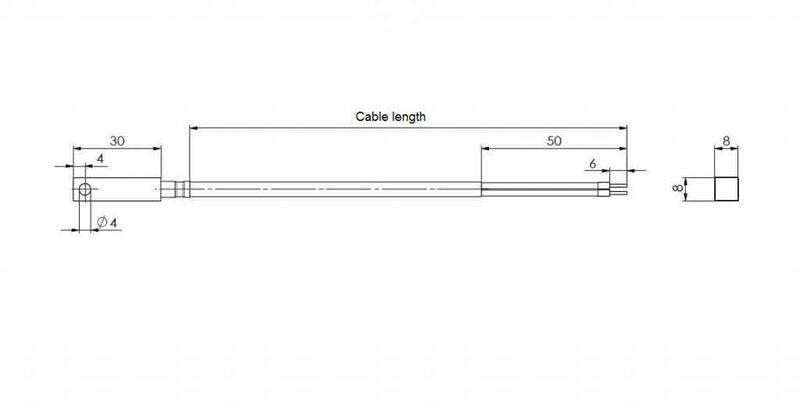 Standard cable length is 2m.